Enhance your outdoor and indoor table tennis experience with table tennis accessories. With a combination of high-quality materials, professional sport technology and modern design, we have succeeded in producing a series of table tennis accessories covering the needs of every type of player. 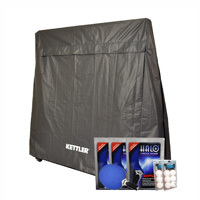 From our table tennis paddles to our table tennis balls, KETTLER products make the sport more fun and exciting with quality materials and design. 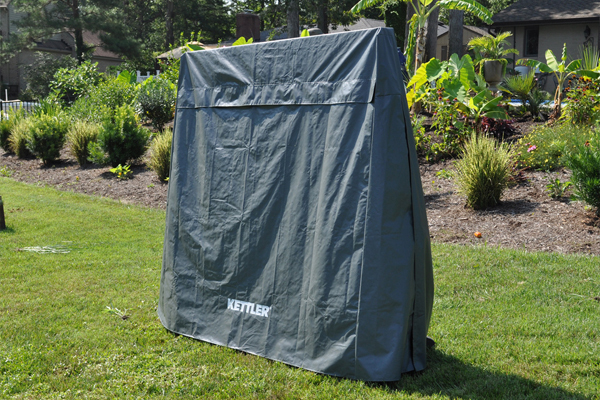 Use one of our ping pong table covers when the table is not in use to prolong its life, protect it from the outdoor elements or keep it dust-free indoors. Our newest innovative accessory is our outdoor table tennis racquet constructed of resin. The air channel high performance core ensures exceptional play characteristics. 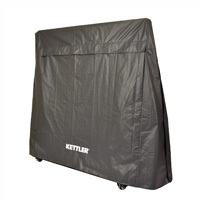 A KETTLER conversion top can quickly turn a billiard table into a table tennis table with minimal investment and space. 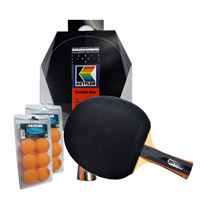 We also carry replacement nets for indoor and outdoor table tennis tables and player sets of table tennis paddles and balls.